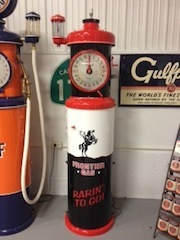 Looking for Independent Gas & Oil, Oilzum,& Early FORD dealership items. a little too much patina..
"One side is better than the other." Which is the better side? ?